Buffalo River Dene Nation is located in Northern Saskatchewan, Canada, and comprises a territory of 8,259 hectares. In the 2000s, it had a total population of around a thousand registered members, half of which were residing at the reserve at the time. They are part of the larger group of the First Nation Dene who speak the Dene language. Once a thriving community of 250,000 people, the Dene has lost between 60 and 80 percent of its population due to prolonged periods of suffering. With the European colonisation and settlements came a gradual erosion of the indigenous peoples’ traditional ways of life and social, economic and cultural disintegration ensued. While epidemics and disease wiped out large parts of the community in earlier parts of Dene history, today the people endure the effects of structural unemployment, chronic poverty, political powerlessness as well as governmental, corporate and military oppression. 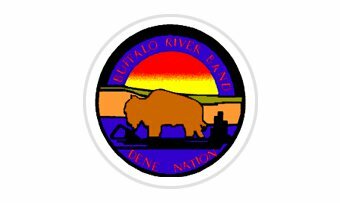 While a Member of UNPO, the Buffalo River Dene Nation’s main objectives were to promote and protect the fundamental human rights of the Dene people, to promote and ensure their spiritual and physical well-being and to support the Dene Nation’s economic self-sufficiency. To that end, they proposed to develop, coordinate and implement a program of action referred to as the ‘Dene Recovery and Development Initiative’ (DNRDI), whose primary purpose was to advance a legal strategy for their case to be mounted in the International Court of Justice. While the legal and advocacy route was an important part of their overall strategy, the Dene people also sought to tackle social problems through a series of initiatives related to education, health and the environment.